James Remar is one of the renown personages who became famous through his diverse works in film and television. He is mainly known for portraying the character of villains. For approximately eight seasons he played as Dexter Morgan's ghost of a father on an American television series, Showtime's Dexter. Similarly, he is one of the leading characters of The Next Door, Django Unchained and 2 Fast, 2 Furious. The Veteran actor, James has two children with his beautiful wife, Atsuko Remar; a daughter, Lisa Remar and son Jason Remar. However, he is also claimed to have married to Yuka Kojima but there is no solid evidence to substantiate the claim. 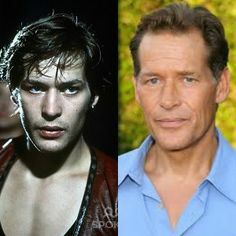 William James Remar was born on December 31, 1953, in Boston, Massachusetts to Elizabeth Mary Remar, Mother and S.Roy Remar, father. Reviewing his nationality, he is American and belongs to white ethnicity. James Remar young age photo. An American actor, James began his on-screen career in the year of 1978. His first role was for the film named On the Yard where he portrayed a role as Larson. Similarly, after three years of film debut, he then made an appearance in the television series, Hill Street Blues. Youtube: James Remar talking about the his role on the series, Dexter. Besides acting the handsome actor, James has also made an appearance in the various video games such as The Warriors, Batman: The Brave and the Bold, Killzone 3, and Destiny. Currently, he has made an appearance in the movie, the Saint, Feed and also a television series, Gotham, and NCIS: Los Angeles. 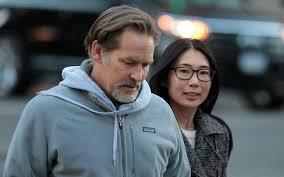 Aged 63 American actor is a married man. He got married to the Asian girlfriend, Atsuko Remar. They have two children from their relationship a son named, Jason Remar and daughter, Lisa Remar. Husband and wife, James and Atsuk0. Although some sources claim of James being in a relationship with a woman named, Yuko Kojima, there has not been enough evidence to support their claim. Neither is there any information about Yuko that puts light on the rumors that their relationship really exist. Popular for portraying a role of Frank Gordon in series Gotham, James has appeared in dozens of movies and television series till the date. From there he has accumulated a decent amount of money. As of 2017, his net worth is estimated at around $6 million.